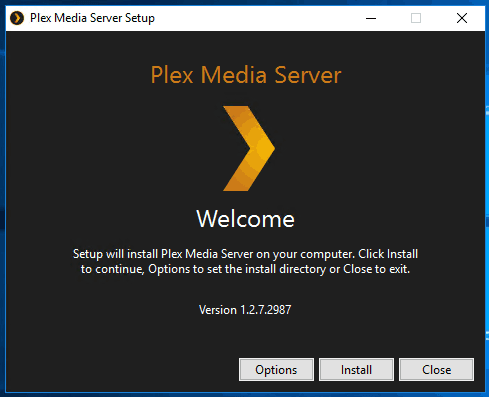 Guide: How to install Plex on Windows Server 2016? 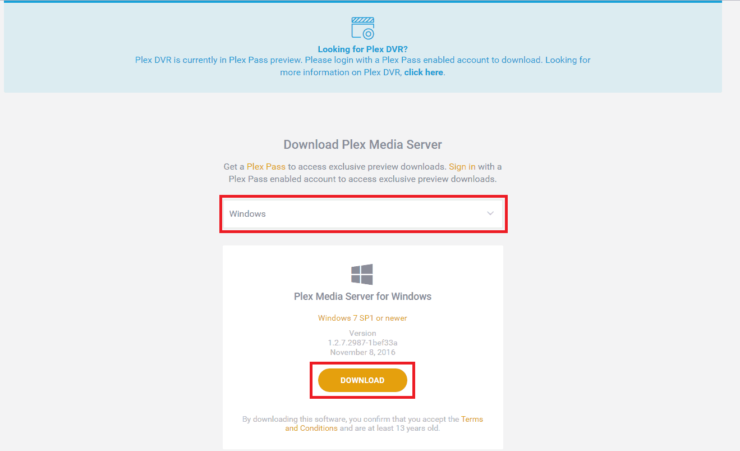 Home Home Server Guide: How to install Plex on Windows Server 2016? 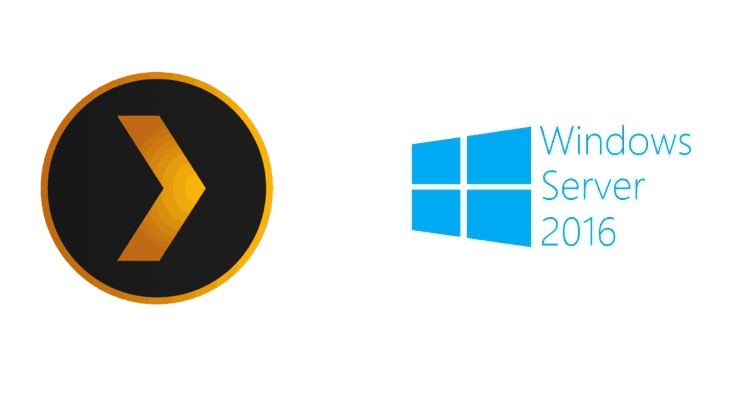 You managed to install Plex on Windows Server 2016 successfully. What to do after that? In order to download the latest Plex Media Server installer, you need to first go on the Plex download page on plex.tv. Go to the Plex download page and click the Download button. Then, select the appropriate operating system (in this case, Windows) and click the Download button. Select your OS in order to download the appropriate installer. For this guide, we chose Windows. After completing the download, open the location of the installer, right click on it and then click on Run as administrator to start the setup. 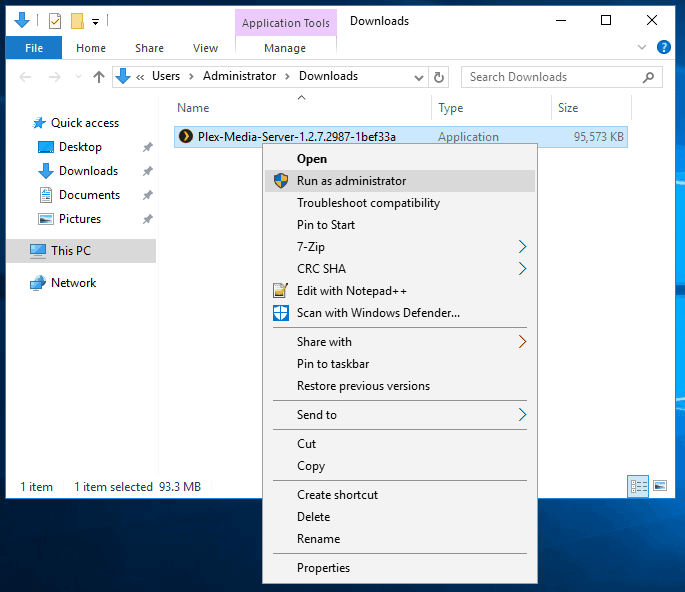 In order to install Plex on Windows Server 2016, run the installer as an administrator. The Plex Media Server Setup will begin. You can click on Options if you want to change the default installation folder, but the default is in C:\Program Files (x86)\Plex\Plex Media Server. Click Install and wait for the process to finish. When the setup has been completed, you can click on Launch. You will see this screen when starting Plex installation. If everything is OK, the internet browser will open on port 32400 on the Plex login page. If you don’t have an account, click on Sign Up and proceed to create one, then sign in. 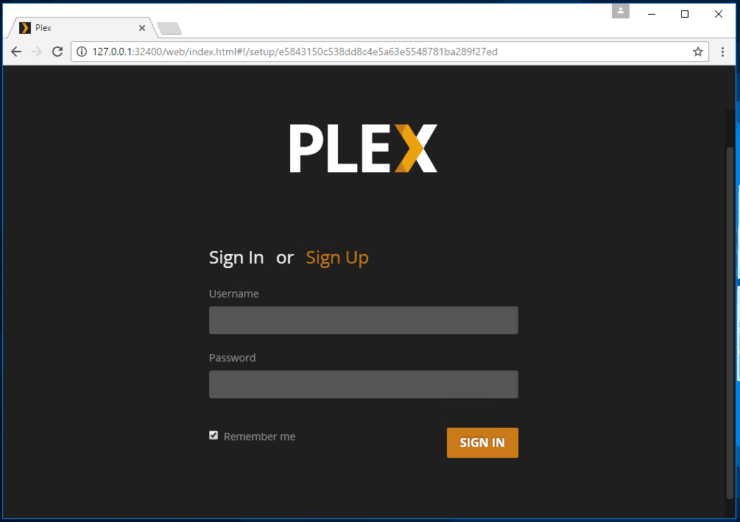 You can sign up for a new Plex account or use an existing one on the login screen. 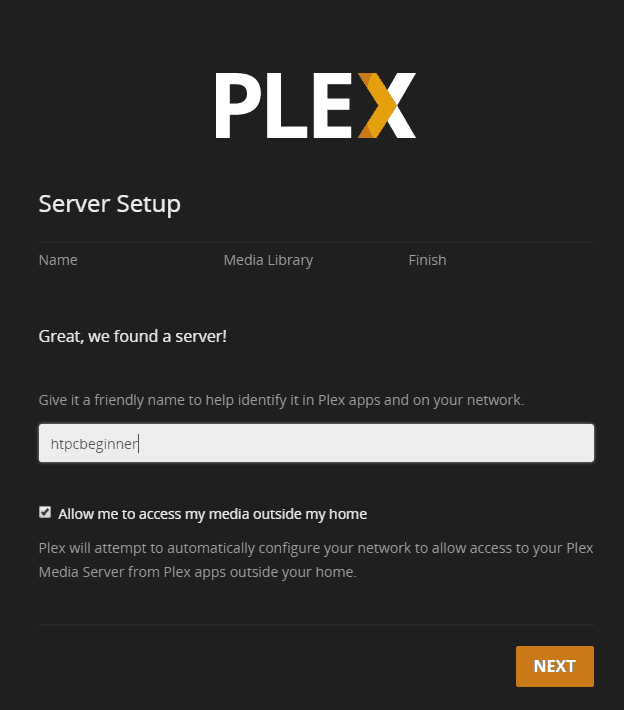 After the login, the Plex Server Setup will start, and you will be asked to give your new server a name, in order to identify it in the future. Also, make sure the Allow me to access my media outside my home option is checked, in order to be able to stream your media from anywhere, then click Next. Give a name to your server and enable remote connection in order to be able to stream from anywhere. On the Media Library page from the Server Setup, you will need to click on the Add Library button. Then, select the type of library you want to add (in this case TV Shows), then click Next. Browse for the Media Folder containing the type of media you selected previously and then click on Add Library. Please note that it is recommended to have a different folder for each type of media. For example, you will have one folder for TV Shows, one folder for Movies and one folder for Music. 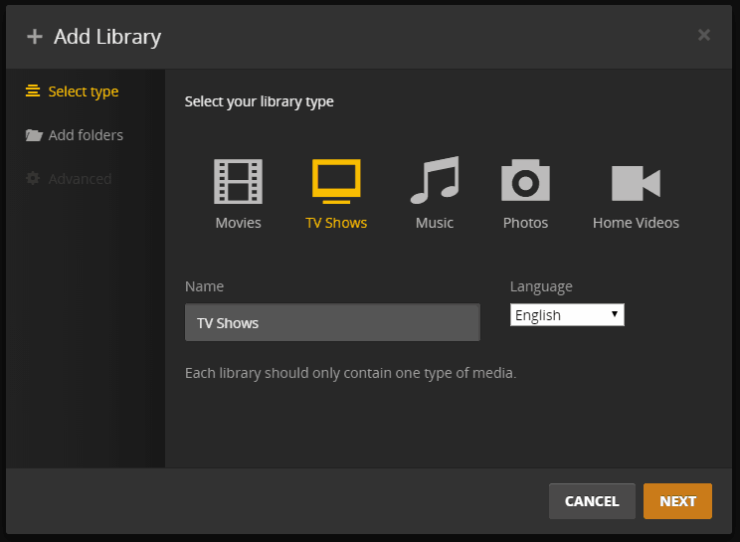 After you have added the media libraries, click next, and choose if you want to Send anonymous usage data to Plex or not. 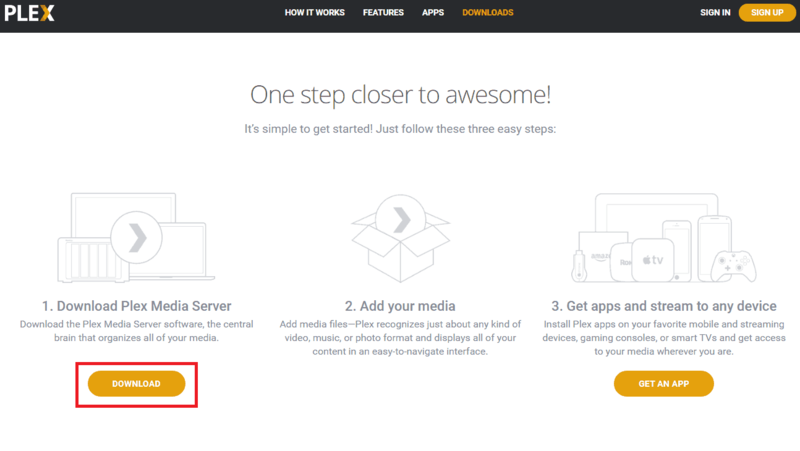 On the same screen you can click on Get Plex apps to download Plex Media Player on various devices you own. When finished, click Done and wait for the indexing to finish. In the end, if the libraries were added correctly, your Plex Dashboard should look like in the screenshot below. 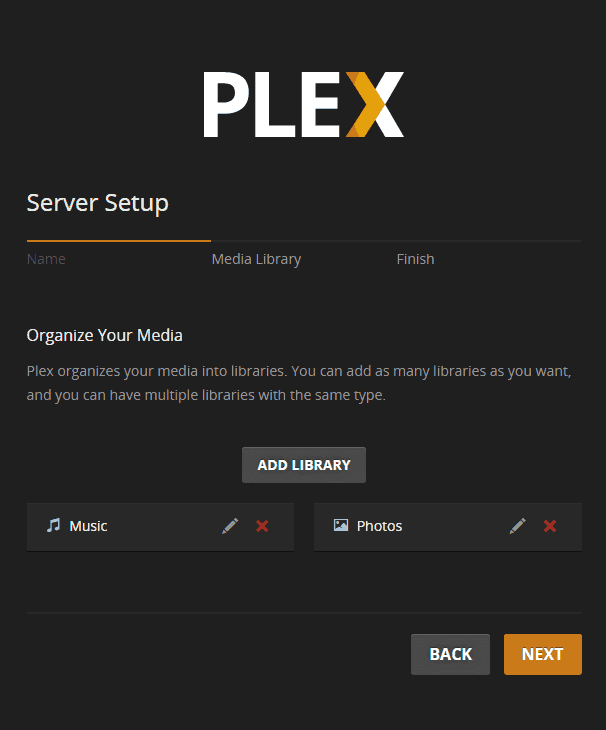 After successfully installing Plex, you will probably want to install a service for automatic media downloading, in order to populate your Plex Media Server library. If you have Ubuntu Server, you could use our famous AToMiC ToolKit for automating media management. On Windows, you can do that by following our guides on SickRage, CouchPotato, etc. 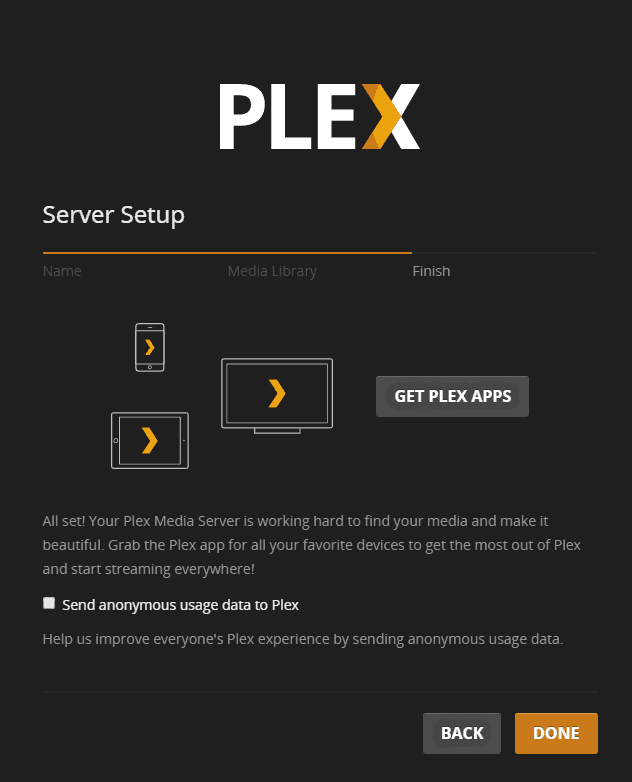 To play media from your Plex Server you will need Plex Client hardware and app. For Plex hardware you may refer to our guide on choosing Plex Hardware and list of best Plex clients. On Raspberry Pi, you could use Rasplex. On other devices, you need the Plex client app. 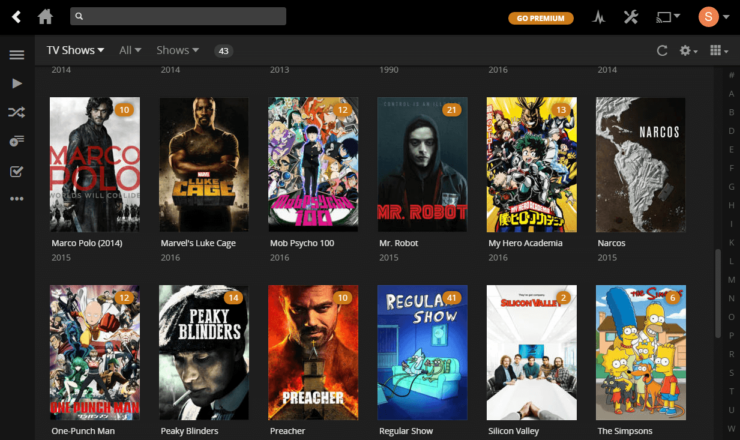 Finally, you can extend your Plex media server's functionality further by installing additional Plex channels. So go ahead install Plex on Windows Server and get started.